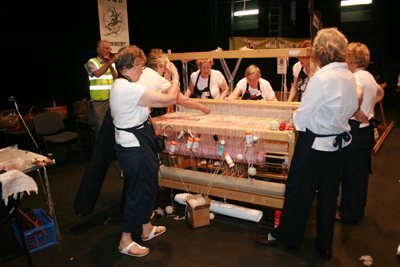 A team of weavers busily fixing broken warp threads. Photo by Dave Cox. I use a rigid heddle loom. Can anyone explain to me why an if I should be using a warping frame? I’ve always warped up using the front to back direct method.